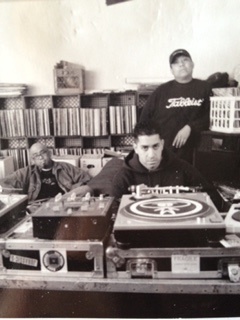 Hailing from Los Angeles, California, the Beat Junkies are internationally recognized as one of the greatest DJ crews in history. Founded in 1992, the Beat Junkies are credited as pioneers and prolific taste makers, and have profoundly influenced the International DJ community with their signature "Beat Junkie Style" of dj'ing - a well balanced blend of music selection & technical skill. 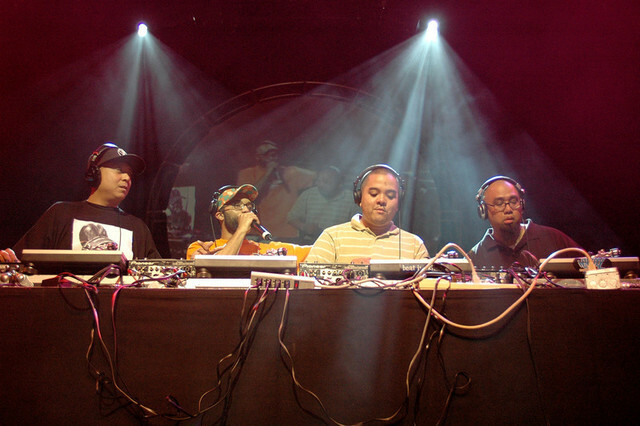 With their unique & timeless skill set, the Beat Junkies have continued to flourish in the modern day music scene by continuing to entertain and inspire peers & fans alike. In celebration of 25 years, we have opened up our very own DJ school - the Beat Junkie Institute of Sound. Located in Glendale, California, the Beat Junkie Institute of Sound offers fundamental and specialized DJ courses, workshops, private instruction, and an opportunity to join our community and learn the art form of DJ'ing "Beat Junkie Style" on state of the art equipment, in an intimate and professional environment. Our philosophy on teaching is not bound by genre, music style, or technology. We embrace all DJs and firmly believe that regardless of personal taste, we are all part of a unique, rich culture and history. At BJIOS, we approach DJing as a discipline, a fine art, a passion. We place strong emphasis on the fact that there are mechanics, techniques, and history that one must study and master to earn the title of DJ. For all dedicated students that attend our school, we guarantee them an informative, fulfilling experience which will lead them to become competent, qualified DJs able to perform for a lifetime. We strongly believe that a finish line for our craft is non-existent, and a DJ's training should never stop to ensure continual progression. We encourage students to practice everyday and be part of a community where DJs of all levels share their knowledge and skill with one another. Whether you are new to DJ'ing or a seasoned vet, the Beat Junkie Institute of Sound has a curriculum and facility suited for everyone interested in learning the craft and it's history. The Beat Junkies stopped by Big Boy's neighborhood at talk about their new DJ training facility, "BEAT JUNKIE INSTITUTE OF SOUND".